If you are also amazed at How Always Encrypted works for existing table then this blog may help you find some more details as to what really happens under the hood when we configure always encrypted for a table which has already got some data and how to get Always Encrypted Wizard Log Report. 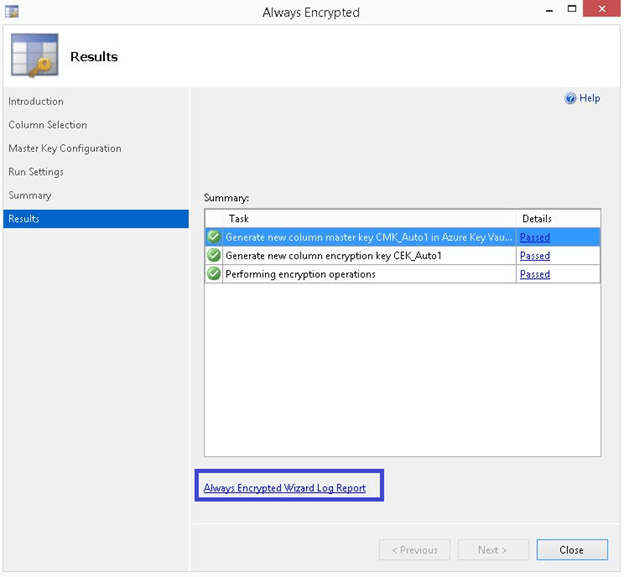 It looks like magic that your data gets converted automatically from plain text to encrypted data automatically when you already have some data in your tables, let’s see what happens under the hood when you configure Always Encrypted. If you don’t know how to configure Always Encrypted on a table which already has data, Please refer to the following link: Configure Always Encrypted on existing table with data. Under the hood this technology uses BACPAC. Yes it creates a BACPAC and re-inserts all your data after enabling encryption and all this happens within the wizard if you are not sure, at the last step once the encryption is complete, click the hyperlink in the lower end of the wizard “Always Encrypted Wizard Log Report”. This will take you to the log report which is just a verbose like log report of the wizard. Here take a look at the screenshot below how it looks. The report also helps you find more details like time stamp of each activity and time duration of the task which is important. 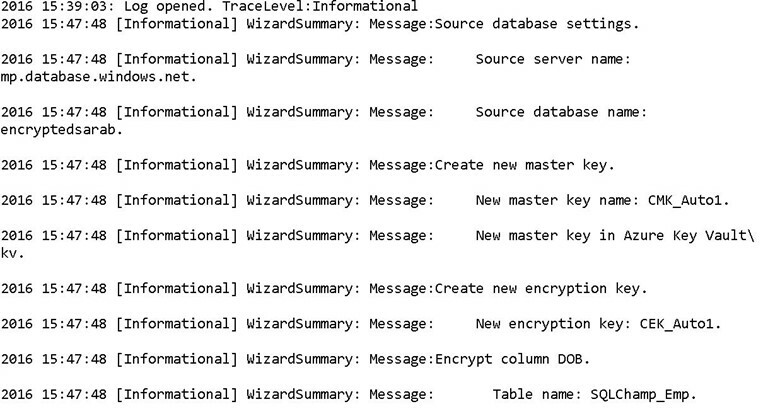 Hopefully now you know how to find Always Encrypted Wizard Log Report.